Follow me on Twitter @Calchexas! We’re in the thick of the new season already, and League Cup attendance is blowing up across the United States. With every tournament being a bloodbath, I think now it’s more important than ever to get a good feel for the reasons we choose decks. Deck selection is more important in Pokemon than most card games, as slight metagame and card choice decisions can rapidly change the course of your tournament. These three different decks represent three very different approaches to deck selection. 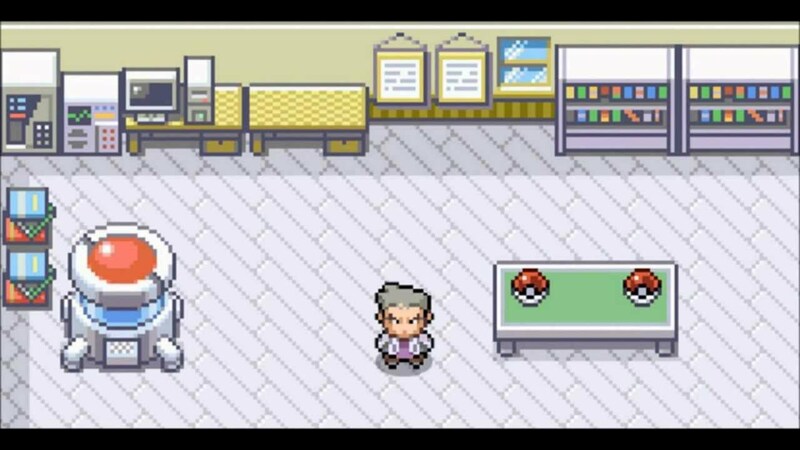 While I will briefly discuss the lists and some of the more interesting choices, this post’s focus is first and foremost about the different ways we arrive at deck choice in Pokemon TCG. Not including the “choose-the-one-in-the-middle- method. Before we get into the three decks I played or their results, I want to discuss briefly some of the most common ways people choose their decks in Pokemon. They range from being arbitrary, to pragmatic, to downright silly. 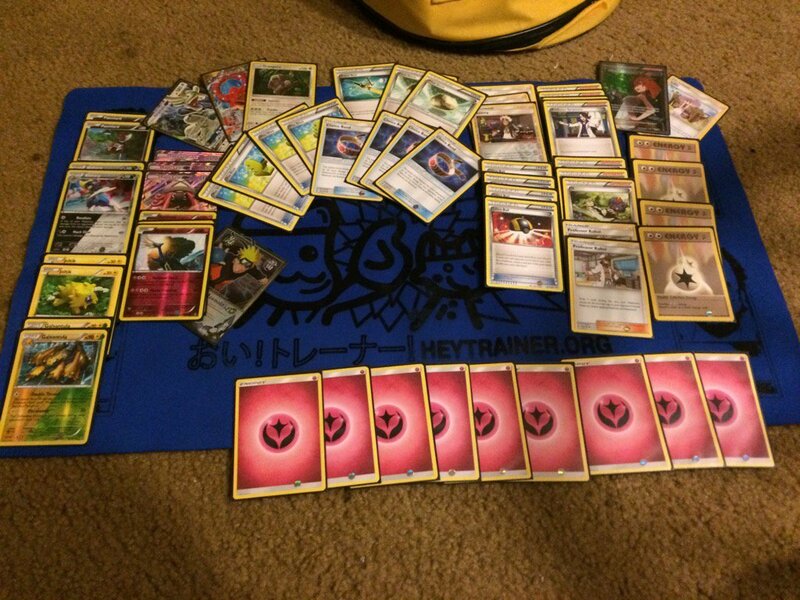 Use What You Know (UWUK Method ®): These are the decks that are your staples; your favorites; your all-time greats. Whether you played them for half a season or half a decade, you feel confident in your ability to win games and comfortable in your ability to adapt to changing circumstances. It’s hard to imagine you not being a threat with these decks, and in some cases the card is synonymous with you. This method ranges in effectiveness, and in your local metagame it might actually preclude you from ever winning a tournament, but at the Regional and National levels it can work beautifully. Worlds is a different question, and after having had a range of successes and failures at that event over the years, I can tell you that the UWUK method doesn’t work as well there unless the deck you are using is just that busted. A key distinction between UWUK and Netdeck is that unlike Netdecking, UWUK is an art form you’ve developed, and is quite often the originator of concepts other people netdeck. Early Adaptation: Unlike the UWUK, Early Adaptation involves jumping into a new deck for the first time. Sometimes you may test this heavily all on your own; other times a friend might just pass you the list and you do well with it. There’s certainly overlap with other methods, but the key factor here is jumping into a relatively new, potentially unprecedented deck idea because you think it will succeed. Format Adaptation: Format adaptation is when you take a concept and convert it to a new format. Sometimes this overlaps with the UWUK Method, but it generally doesn’t. Remember that the essence of this method isn’t so much about comfort, but about breathing new life into a concept, as well as opening up surprising possibilities. This can be a less personal choice than UWUK because many players who do this think it’s the best play, but it can also be because whatever you want to play is really fun in its new form. You can convert a Standard deck to Expanded, an Expanded deck to Standard, or even an old Standard deck into a new season’s Standard. Netdecking: Just find a list online and take it – it’s that simple. Sometimes you can get these from friends and just tweak them a little; other times you can lift them from a YouTube channel, article, or the official Pokemon.com website. The key element of Netdecking, even if you technically didn’t find it on the internet, is that you’ve selected a deck with no real thought other than “this looks cool/good/strong for the metagame, therefore I want to try it.” Although this is perhaps one of the more stigmatized methods of deck selection, there’s really nothing bad about it. Sacrificial Lamb/Poor Man’s Pokemon: Resources are limited, so when you’re traveling with a family or a significant other, there’s a high chance someone will get stuck with the worse cards and thus the cheaper deck – hence sacrificial lamb. A closely related variant to this is Poor Man’s Pokemon, which is simply not having enough resources yourself. Usually this means not owning vital chase cards, and is almost always a suboptimal decision, but occasionally you can make the best out of a bad situation and play a strong, inexpensive deck. Nevertheless, it’s also an option strapped-for-cash parents should strongly consider, whether that means giving your child a simpler but less expensive deck, or relegating yourself to the binder drop. Choose Your Favorites: This one ends up as being no more or less than pure appeal to aesthetics or mechanics. You will find that this approach is surprisingly more common in competitive Pokemon than you would think, even among the best players. Apparently, no one told Karen that her “favorites” have mostly awful cards in the TCG. Historically, my deck selection philosophy has been simple: play what I think has the highest chance of winning a tournament. To that end, I am a huge fan of early adaptation which appeals to my inner scrub in a way almost no other approach would. This can be detrimental for me, since my timing can occasionally be poor. However, every rule has an exception. Generally I like using riskier or goofier things at tournaments I don’t take seriously, and last season I religiously applied the UWUK method to Decidueye/Vileplume, enjoying one of my best seasons ever (despite relatively low attendance). Perhaps in the future I can apply a better balance of these approaches, keeping an old favorite for a few tournaments yet ditching it for something better at the right time. Listed below are three successful local applications of very different deck selection methods. The Rowlet and Decidueye GX in the middle were in my prizes…the good kind. 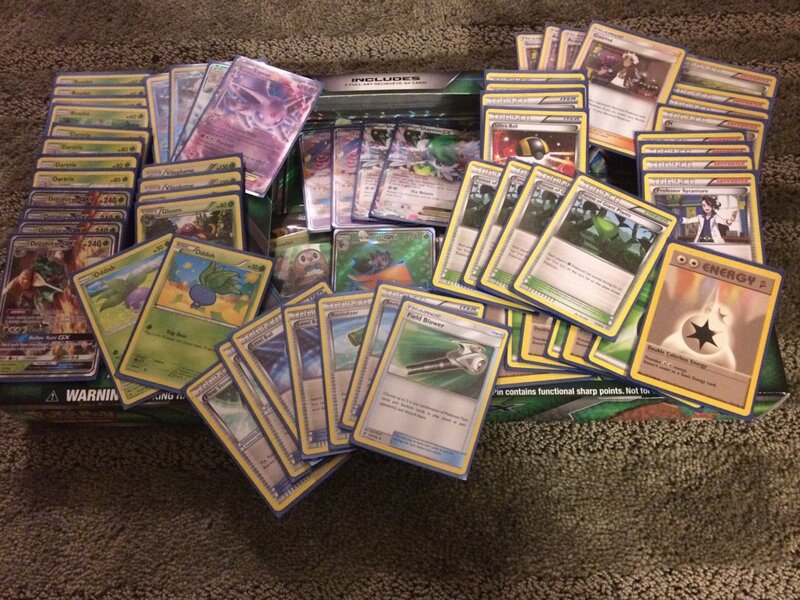 Analysis: For anyone following this blog since the beginning of the year, you know I have a very long relationship with the Decidueye GX/Vileplume AOR deck. With the impending Standard rotation and the upcoming ban of Forest of Giant Plants in Expanded, I saw this as my final opportunity to use an old favorite of mine. I also viewed it as an opportunity to redeem my somewhat mediocre record of 4-1-3 at the Anaheim Open, so my motivations were entirely personal and incidentally related to making the optimal play. My final placing was good, but I think if I were more focused on an “optimal” play over satisfying some arbitrary urge to see my deck succeed where it previously didn’t, I might’ve had a higher chance of winning. 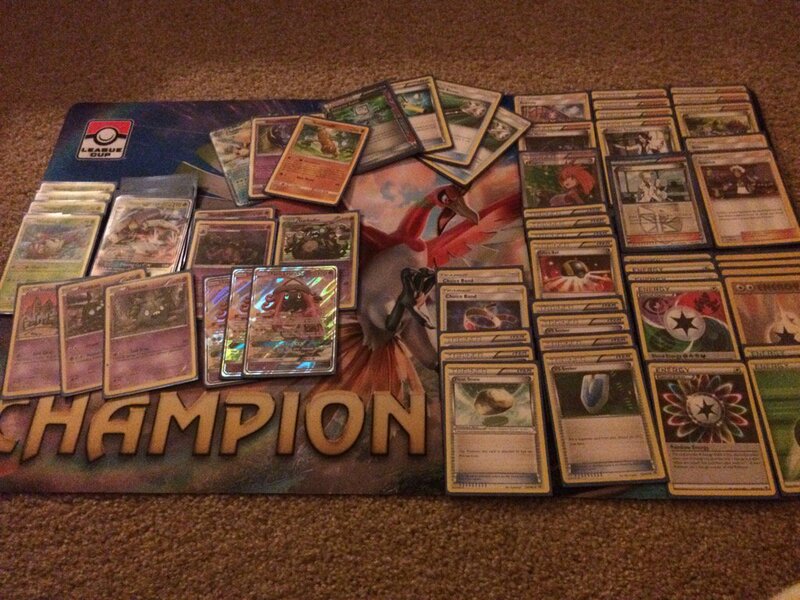 The empty sleeves are two Golisopod GX. Analysis: Between Worlds and Hurricane Harvey, I was about 50/50 on actually going to Fort Wayne. One idea I was brainstorming with Kirk Dube of Super Rodcast fame was adapting Golisopod/Garbodor for the Expanded format. Blend Energy Grass/Fire/Psychic/Dark exists in this card pool, making Trashalanche and First Impression much more consistent attacks. This was personally the most well-planned and prudent deck selection method I’ve exercised this League Cup quarter, and it was also pretty enjoyable to take a proven deck into a foreign metagame. Although I chose not to go to Ft. Wayne due to wanting to stay close to the area, I did take this bad boy to a League Cup and subsequently won undefeated. It was also nice to see it do well in Ft. Wayne, too. The Naruto is a Xerneas. Analysis: A few days before this event, I had seen a Standard version of Rainbow Road circulated by none other than TheCharizardLounge.com. At first I discounted it – I was putting up incredible testing results with Decidueye/Ninetales and saw no reason not to use that. However, it dawned on me that I was about to enter my old habit of using nothing but Decidueye, and that was not something I wanted. My romance with that deck was an exception to the general rule that’s always worked for me, which is to be versatile and always comfortable to use different things. In other words, the UWUK method is not my normal comfort zone. So to break out of that cycle, get my versatility back, and have some fun, I decided to play what I at the time considered to be a crackpot idea in the form of Rainbow Road. So with zero testing I took Wamboldt’s list, changed a couple cards, and played it with almost no prior experience. My errors with the deck felt very minimal, but that’s probably more attributable to the deck being easy than anything else. In the end I just barely came up short, and had things gone a little bit differently I actually would have won. Although I might cut a Kukui or two in case I run this again, it was very exciting to use a deck I had zero expectations for. It would have been nice to max out my League Cup points with a win, but this deck has reinvigorated my excitement for the new Standard. I hope today’s entry gave you a new angle on some ways to select decks you either might not have considered, or may have discounted at some point. How do you choose your decks? Do you take your old favorites or try to reinvent the wheel? Leave me a comment below. Great article! I was initially linked her via Virbank, because I had asked about the Rainbow Road list that you used. I ran RR for 10 months, playing around 200 or more games with it (that I counted), and loved it, but had no idea how to adapt it to the new Standard. I’m gonna netdeck this list to see how it rolls, and then I’ll do some tweaking to fit my local meta. I also quite like how you broke down the various deck selection choices. I’m very much a UWUK player (though the Golisopod deck I built is a bit if netdecking and a bit of Choose Your Favourite). I really appreciate that you didn’t say rude things about netdecking. It can be a good way to learn a new style! Great article and thanks for sharing! Since I just like the PTCG in general, it’s always so hard for me to choose a deck (gotta play ’em all). Overall, I pick the deck I think gives me the best chance of doing well. Previous Previous post: Harvey HeyTrainer Foundation: Houston Players Coming Together!